Mamaroneck Therapist: The Imago Way - Therapist 10543. Send A Message To The Imago Way. Struggling in a relationship that is important to you? Feeling stuck in a rut? Feeling overwhelmed and alone? We believe that within the context of a positive therapeutic relationship, individuals and couples can learn, heal and grow. We offer clients a safe place to express and explore their thoughts and feelings. Together, we work as a team to uncover the longstanding patterns that are keeping you from having what you desire most. Clients are given support and guidance as they begin to experiment with new ways of being with themselves and others. We are relationship experts committed to helping individuals and couples experience greater satisfaction and success in their relationships and in their lives. We are warm and down to earth with our clients while at the same time upholding the highest standard of professionalism. Our work begins with a feeling of comfort and safety in the room. Within the context of a positive therapeutic relationship we believe learning, growth and healing can occur. Free 15 minute phone consultation. Appointments are now available in Westchester and New York City weekdays, evenings and weekends. Intensives (3 hour sessions) are offered for couples in crisis and 2-day Imago Workshops for couples and individuals. Dr. Schnapp has over 15 years of comprehensive psychotherapy experience. After graduating from Emory University, she received her Doctorate in Psychology from Nova Southeastern University. She trained at Four Winds Hospital in Katonah, New York and worked for several years at The Forbush School at Sheppard Pratt Hospital in Baltimore, Maryland. Dr. Schnapp is highly skilled in a number of therapeutic approaches including Imago Relationship Therapy, Psychodynamic Therapy, Interpersonal Therapy, Cognitive Behavioral Therapy, Emotionally Focused Therapy. Dr. Schnapp has been in private practice for over 10 years. In addition to providing individual and couples therapy, she offers intensives (3 hour sessions) for couples in crisis. Since 2001, Dr. Schnapp has been facilitating 2-day Imago Workshops for Couples and Individuals several times a year. Linda has been presenting the Getting the Love you Want couples workshop and the Keeping the Love you Find workshop for individuals for over 15 years. She has been working with individuals, couples and families in private practice for over 25 years. She has a Masters Degree in Social Work from Hunter College and an Advanced Certificate Degree in Clinical Social Work from New York University. Linda worked at Rye Middle School for over 25 years counseling adolescents and their families. 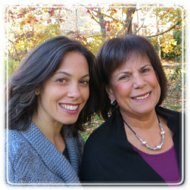 Since the early 90's, Linda has presented at Wainwright House, Manhattanville College, B'nai Brith, Mamaroneck Community Counseling Center and for the Edgemont, Tuckahoe, Mamaroneck, Bronxville, and Rye school districts. She has also conducted ongoing parenting groups for Whitby School and in the Rye, Larchmont and Mamaroneck communities. Most recently, Linda gave a presentation on the Imago principles and techniques in Istanbul, Turkey.